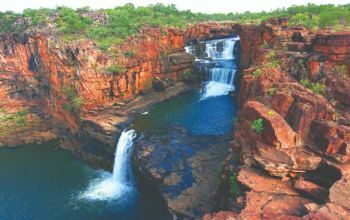 Situated in the North West corner of Western Australia, the Kimberley region is a raw and rugged wilderness, made up of twisting coastlines, spectacular waterfalls and gorges. Utilising light aircraft as the main mode of transport, Kimberley Air Tours are passionate about showing visitors this incredible landscape from above as well as on foot creating all-encompassing touring experiences. There is nothing more invigorating than reconnecting with nature on holiday. 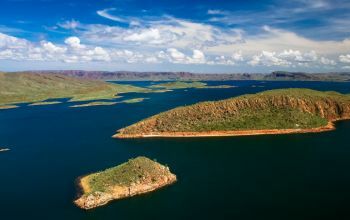 Based in the main hubs of Kununurra and Broome, iconic destinations include the Bungle Bungles, Lake Argyle, Mitchell Falls, Horizontal Falls and the stunning Kimberley Coast. Travel by land based aircraft or seaplane. We also specialise in charter services to remote communities, seaplane transfers to boats travelling around the Kimberley coast and hiking/fishing adventures. The Kimberley is vast and utilising aircraft can provide a more time efficient transport option. Feel free to chat with us about your upcoming adventure. Why choose Kimberley Air Tours? - Locally owned and operated family business passionate about providing authentic touring experiences. - Personalised inflight commentary provided by your Pilot/Tour Guide. - Guaranteed window seats on ALL tours. - Receive a 'Snapshots of the Kimberley' photo book to take home. - Complimentary bus transfers to and from your accommodation. - Minimum of 2 passengers required to confirm a tour. 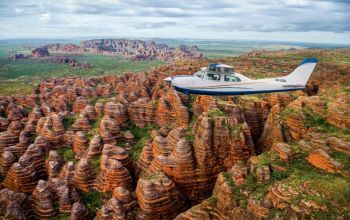 We recently spent a week in Kununurra and a definite highlight was a trip with Kimberly Air over Mitchell falls and then over the Bungle Bungles. This company was awesome in their hospitality and their professionalism, we can not recommend them highly enough to any visitor to this region if you want an experience of a lifetime. This is a must do!